Getting trademark protection in the United States is one thing. But if you want to take your brand international, you’re going to need more than just a US trademark. And if you don’t? You’re vulnerable to appropriation in other countries. Worse, you’ll have insufficient legal grounds to fight back. You’re proud of your idea–take the time to protect it. Here, we’re walking you through each step of the international trademark application process. Who Can Submit an International Trademark Application? Before we explore how to apply, it’s important to know whether you qualify in the first place. If the above conditions apply to you, you’re ready to file an international trademark application. Where Do You File Your Trademark? The next question is where you file your trademark application. If you’re a US-based business, then the USPTO is your first port of call. They’re the first ones to review a pending trademark application. If approved, your application goes to the International Bureau of the World Intellectual Property Organization (WIPO), which is responsible for the international trademark registration program. Do You Have to File Trademarks Individually? Protecting your intellectual property overseas is a sticky process (protecting your intellectual property in China is a nightmare all its own). Why? Every country has a unique set of intellectual property laws. Which means that precautions that protect you in one country may not protect you in another. This is why the USPTO explicitly states that US patent or trademark does not protect you in other countries. Patents and trademarks are territorial, and you must apply for a trademark in each individual country where protection is sought. Of course, if you’re an online retailer, that may sound like an impossible task. If you can sell to anyone in the world, how can you find out what countries people are visiting your site from? Fortunately, there are ways to remedy this problem (without applying for a trademark in every country in the world). What About International Company Trademark Registration? Don’t forget about your company trademark, though. Technically, you aren’t required to file international registration for your company’s trademark. In fact, if all your customers are based in the United States, it would be a waste of time and legal fees to register in other countries. However, if you sell to customers from other countries, then you should register your trademark internationally. Filing an international trademark application is relatively straightforward once you know the steps. Even if your application is approved in the United States, filing an international application does not guarantee protection elsewhere. The application is reviewed by three separate entities before your trademark protection is extended. As such, it’s a good idea to plan ahead and be proactive. If you do business in the US and are looking to expand internationally, start small. Get your trademark approved before you do business outside the country. The process begins with the USPTO. They certify that the information in your application matches your US trademark registration. If the application is approved, it is sent to WIPO for the next stage. If it isn’t approved, the USPTO will notify you of the reasons why the application was denied so that you can submit a corrected application. WIPO uses a process called the Madrid protocol. This grants trademark protection in several countries by filing an application through your own member country. All you have to do is designate countries in your application. Basically, an international trademark application registered in the United States is treated the same as a registered trademark in other member countries. This is a lifesaver for businesses. It removes the need to individually update or renew your trademark in every country where you hold a trademark. Instead, you can directly record changes and carry them over into other countries. If your application is approved by the USPTO and sent to the International Bureau of WIPO, it is reviewed to determine whether it meets the terms of the Madrid protocol. If it does, you will receive your trademark registration, along with an international trademark registration certificate and publication in the WIPO Gazette. This registration is good for 10 years. From there, the application is sent to the individual countries you designated on your application. Each of these countries will review the application based on their national trademark application standards. They have 18 months to either grant an extension of your trademark or to decline it. If the member country does not deny it after 18 months, the application is accepted automatically. Do You Need Help With Your Trademark? Even if you know how the system works, it can be tricky to figure out the details of your international trademark application. And that can leave your trademark vulnerable. That’s where we can help. Our attorneys know what it takes to protect a brand and have helped clients all across the country make their way through the trademark registration process. If you need to speak with an attorney about your options or how to get started, use our contact page or call us at 855-473-8474. After seven years of litigation at the Trademark Trial and Appeal Board, the Ingham County Circuit Court, and the US District Court for the Western District of Michigan, many, many, many sleepless nights, and some of our best legal work, the Attorney General of the State of Michigan has dismissed its trademark cancellation proceeding against M22 with prejudice. The M22 trademarks are valid, registered, fully enforceable, and incontestible under the law. 03/07/2019 Traverse City, MI —M22, LLC, the iconic northern Michigan outdoor brand, will keep its federal trademark protection for the M22 logo following an agreement with the State of Michigan. In a settlement signed on Feb. 28, M22 released the State from any grievances or future suits in trade for the State dismissing all claims against M22. The settlement also entails that M22 cannot be challenged by the State again on the matter and retains full rights to protect its trademark for retail and apparel nationwide. Brothers Keegan and Matt Myers founded the company in 2004. M22 first filed the logo for a federal trademark in 2006 and was awarded in 2007. 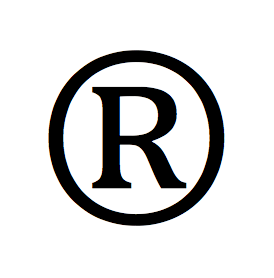 After the US Patent and Trademark Office’s required five-year period of consecutive use, the trademark had become “incontestable,” the strongest status for a trademark. However, in 2012 then Michigan State Attorney General Bill Schuette wrote an opinion claiming no entity could claim control over a highway marker design because it was public domain. This opinion kicked off a seven year legal contest at both the state and federal level. Earlier this year, Attorney General Dana Nessel succeeded Bill Schuette, and her office re-examined the case, deciding not to move forward with litigation. For more information about M22’s trademark or usage examples, visit m22.com/pages/trademarks. What’s Up With the M22 Trademark? Founded in 2004, M22 is an outdoor brand dedicated to sharing adventure and exploration of northern Michigan. The company retails high quality apparel, accessories and adventure gear online and from its stores in Glen Arbor and Traverse City, MI. More at m22.com. For additional information, or if your business is facing a trademark cancellation proceeding, please contact our Trademark Attorneys with the form on this page, or call us at 855-473-8474. In February 2019, the European Union finalized its proposal for reforming its copyright laws, titled “Directive on Copyright Law in the Digital Single Market.” If passed, this EU directive on copyrights could have far-reaching consequences for online service providers and managers of online communities. This directive has not been signed into law yet. Later this spring, European leaders will take a final vote to determine whether it will become law. If the vote is successful, each of the EU member states will have two years to introduce supporting legislation in their own country. What Does the Copyright Directive Say? The directive comes at a time when EU leaders are working to modernize the copyright rules in the EU. Most stakeholders agree that updating these laws are necessary – the last overhaul of these rules took place in 2001. As a result, many of the provisions are relatively non-controversial updates matching the growth of technology. For example, Article 4 clarifies that schools, universities, and educational establishments can make non-commercial use of copyrighted works, while Article 12 proposes granting sport event organizers copyrights over recordings of their own events. Articles 11 and 13 have generated the most news coverage because they are the most controversial proposals in the Directive. Article 11 would change current EU law by granting new rights to press publications for online use of the articles. Currently, authors assign copyrights to publications, which them must prove rights ownership for new works. The proposal would grant direct copyright over online use to these press publications. These rights would expire after one years. This Article specifically applies to journalism and does not apply to academic or scientific publishing. Article 13 introduces significant new liability rules for online content sharing service providers, such as YouTube, Facebook, Twitter, and Instagram. These content-sharing services must license copyright-protected material from the rights holders. If it is not possible to license the material, and it is posted, the company may be held liable for copyright infringement. It acted quickly to remove infringing material once it was discovered. For example, if Article 13 goes into effect and I upload a clip of Sylvester Stallone as Rocky running up the stairs to Facebook as motivation to get into shape, and if Facebook does not already have a license for the movie, it could be liable for this usage. Have an annual turnover of more than €10 million ($11.2 million). This article would not affect “legitimate users,” and would permit people to use snippets of copyrighted material for criticism, review, parody, and pastiche. Act quickly to remove infringing material, once they are made aware of it. However, under the new proposals, online service providers would have a new onus placed on them to catch work before it is uploaded. Authors, composers, writers, journalists, photographers, as well as their representative organizations, such as the European Coalitions for Cultural Diversity, European Music Council, and Federation of European Publishers, support this law. A letter from 30 such organizations submitted a Joint Statement on the EU Copyright Directive, arguing that the Copyright Directive is a “historical opportunity” that will “create a much-needed level playing field for all actors of the creative sector. On the other hand, certain groups have come out with harsh words for the final text of the copyright directive. This is because the proposed directive will effectively require online communities to invest in automated copyright filters to ensure that no user posts anything that infringes copyright. YouTube’s ContentID system currently in place, which scans uploaded videos against a database of copyrighted material, is an example of such a filter. The EFF argues that, because the only companies capable of creating such technology are large American companies, such as Google and Facebook. These companies will be able to grow unchecked because no European company will be able to compete. There is also a concern that this sort of filtering will also have an unintended censorship effect if a program decides that uploads are a match for known copyrighted works. While hosting companies would be required to have a complaint and redress system, this process would at the very least cause delay and user frustration. Additionally, because online communities will also be required to make “best efforts” to license anything that individuals could upload to these sites, they will also be required to buy what copyright holders sell them or risk being liable for future infringement actions, at potentially high prices. Finally, the EFF criticizes rules governing sharing news stories in online communities. Article 11 of the EU Copyright Directive requires that any link containing more than single words or short extracts from a news story must be licensed, with no exceptions. This provision could potentially limit the free flow of information regarding world events across online platforms. This article is for informational purposes only. It does not contain legal advice, nor does it create an attorney-client relationship. If you regarding copyright law, or other intellectual property matters, contact our experienced IP and Internet attorneys today with the form on this page, or call us at 855-473-8474. Data breaches pose a significant risk to e-commerce companies. Although the internet has opened up an entirely new world, allowing entrepreneurs to make money online from the comfort of their own homes, it has also opened up potential serious new hazards of which all companies should be aware. At minimum, a data breach can result in serious lack of trust on behalf of your customers. A worst case scenario involving sensitive financial information being leaked could be disastrous for a company. Unfortunately, data breaches are increasingly common – one insurer found that 47% of small businesses experienced a data breach between 2017 and 2018, while 44% of those businesses faced multiple breaches. Here are some steps you can take to ensure that your company minimizes your risk of data breach liability. A great way to avoid potential serious consequences of a data breach is to limit what data you actually collect from customers. Many ecommerce businesses can get away with only having a customer mailing list, and do not need to collect names, birthdates, or phone numbers in order to notify their customers of new items in stock. It is also a good idea to refrain from storing customer credit card information. Yes, it can be extremely convenient for customers to login and check out without having to re-enter payment details. However, by storing this information, you are setting yourself up for serious potential consequences if this information is leaked. In fact, storing credit card data is a violation of the PCI Security Standards Council, an international group that creates standards for payment account security. These standards are adopted by every branded credit card company, worldwide. If you want customers to be able to store credit card information, you can consider working with a third-party payment system, such as PayPal or Amazon Pay, which outsources the security risk to another entity altogether. You should also ensure that your website is hosted on a secure platform. Every web-hosting company should give information regarding customer site security so you can understand how your customer data will be safe. For example, Wix.com uses Transport Layer Security, which is “the standard security technology for establishing an encrypted link between a web server and a browser.” By using a trusted and seasoned platform, you are getting the benefit of experience from thousands of other users. This will only serve to keep your customers safe. By using Secure Sockets Layer (SSL) authentication, you will authenticate the identity of your business and encrypt data being sent from your customer to you. This prevents hackers from obtaining the data while it is in transit. Using SSL authentication is another requirement businesses must follow in order to be PCI compliant. You should regularly monitor your site and keep all patches and applications up to date. Older versions of particular programs may have “back doors” for hackers to sneak through. It can be annoying to reinstall security updates every time a new leak or bug is found, but by regularly updating, you will make yourself less of a target to hackers. In addition, you should also use anti-virus software on all company computers and run virus scans on a regular basis. This software should also be regularly updated so that it can catch the latest threats as soon as possible. Another way to protect your customer data is to limit who has access to it. Put a password on your sensitive files to prevent someone from accidentally stumbling into them. If it is not necessary to keep this data on your company’s internal network, consider storing it on a single computer. Consider which employees have a need to know sensitive information, and then restrict access accordingly. You should also conduct employee training and have policies in place so that your staff does not email, text, or send private customer information through online chat programs, which may become compromised. If your site is hacked or disabled, you do not want to have to start over completely from scratch. Having weekly or monthly backups saved will let you easily restore your site to what it was before the breach occurred. If you have an option for customers to login to access your site, you need to make sure they use strong password with a combination of numbers, letters, and symbols. By forcing customers set strong passwords, you are helping them keep sensitive data secure. Finally, in order to give yourself greater protection in the event of a data breach of your e-commerce store, you should consider investing in small business cyber insurance. These policies can cover the cost of notifying your customers, investigating the breach, and purchasing credit monitoring services for any customers who were affected by the breach. Having a trusted insurance carrier to fall back on if the worst happens can help save you a lot of stress and demonstrates to your customers that you are doing everything you can to fix any damage caused by the breach. It is an excellent way to maintain goodwill among your customer base if a breach occurred. Additionally, even if you are not currently dealing with a data breach, an insurance carrier can help alert you to updated best practices and new security threats as a way to avoid being hacked altogether. This article is for informational purposes only and does not provide legal advice. Revision Legal has significant experience assisting e-commerce owners through selling their businesses, including negotiating deals, drafting purchase and sales agreements, and assisting with all manners of intellectual property transactions. In order to schedule an appointment with an internet lawyer, contact us today with the form on this page, or call us at 855-473-8474. Revision Legal’s Michigan trademark lawyers are experts in trademark law. Our Michigan trademark attorneys have handled trademark registration, trademark licensing, and trademark litigation in state and federal courts around the United States. Our Michigan trademark lawyers are licensed to practice in the state courts of Michigan, the Eastern District of Michigan, and the Western District of Michigan. Our trademark attorneys regularly handle trademark clearances and trademark registrations, including complex and non-traditional trademark registrations. Our attorneys have represented some of Michigan’s most well known brands, ranging from multinational insurance companies, microbreweries, lifestyle brands, and startups. If you seek a Michigan trademark lawyer, contact the attorneys at Revision Legal at 855-473-8474 or use the form on this page. Few things are more frustrating than being sued for something you were not aware was happening and did not do. Unfortunately, this is the situation that many individuals or business owners find themselves when they receive a letter from their Internet Service Provider (ISP) informing them that they are the subject of a copyright lawsuit. Here is what you need to know about these cases and what your options are. If you download this file, instead of receiving it from one source, you receive various “bits” from several other computers that have the same file. This lets large files be shared quickly among multiple people. BitTorrent itself is not illegal – many companies use various protocols to share files internally or to make open source software available to the public. However, not every file is shared across BitTorrent platforms with the permission of the copyright owner. Movies, books, songs, and television programs are often shared illegally. Some copyright holders may ignore these downloads, or – as HBO does for Game of Thrones downloaders – send letters requesting that the activity stop. However, others take a much more aggressive stance. Copyright holders who are extremely aggressive in enforcing their copyrights in court are known as copyright trolls. Although activity online, including downloading movies, television shows, or songs, seems to be anonymous, it is not. Copyright trolls are able to trace the IP address of the user completing the download. The IP address can translate to a physical address and an internet service provider. With this information, copyright trolls are able to file a complaint in court and ask a judge to issue a subpoena ordering the ISP to turn over the identity of the account-holder. Even if the account-holder is not the person doing the downloading – a very real possibility – this person likely has information about whom the downloader is likely to be. While this may seem like a fair and logical way to proceed, copyright trolls are infamous for spamming the federal court system with hundreds, if not thousands, of lawsuits at any given time. Some plaintiffs, such as Malibu Media, will sue only one defendant at a time, but others will file lawsuits against dozens of people at one time. In addition to Malibu Media, Strike 3 Holdings has also been actively filing copyright lawsuits in recent months. Both own copyrights to adult material, so the embarrassment factor of being associated with this type of case can encourage people to settle who may be otherwise inclined to fight. If you are dealing with a copyright troll in court, you may be able to raise a number of defenses to fight the claims. If you know for a fact that someone else did the infringing activity, you may be able to turn this person over to the copyright troll in order to redirect focus from you. However, this can be tricky because you may not want to throw a family member or an otherwise good employee to the mercy of the plaintiff. Occasionally in this situation, the person who actually did the downloading will agree to pay a settlement in order to avoid the risk to both the account-holder and themselves. In order for a lawsuit to proceed, the case must be filed in the proper jurisdiction. If you have never set foot outside of Michigan, you can not be sued for copyright infringement in Ohio. Although copyright trolls claim that their methods of determining the location of the infringing activity is highly accurate, this is not necessarily the case. If you are involved in a copyright lawsuit that was filed somewhere other than where your home is located, you may be able to have the case dismissed for lack of jurisdiction. A copyright holder must bring a lawsuit within three years; otherwise, they can not bring the case. If a copyright holder attempts to sue you for downloads they claim occurred more than three years ago, the judge can dismiss the case because the troll waited too long. Although it is not the answer for everyone, sometimes settlement can be the best option if you are being sued by a copyright troll. If you know that you were the one who did the downloading, you may decide to settle rather than risk paying attorneys fees and statutory damages for infringement. You may also decide that you do not want any potential negative publicity for your company or yourself. While some judges will allow copyright defendants to proceed anonymously if the copyrighted materials are adult in nature, not every judge will. Rather than take the risk, some people will decide it is in their best interests to settle quietly outside of court. The best way to protect yourself from being faced with a copyright troll lawsuit is to limit the number of people who can use your WiFi. If this is not possible due to business requirements, you should educate your employees about using the internet responsibly and enact policies designed to prevent this kind of unauthorized use with company materials. This article is for informational purposes only and does not contain legal advice. If you are being pursued by a copyright troll or have questions regarding copyright infringement, or other intellectual property matters, contact our experienced Internet Attorneys today with the form on this page, or call us at 855-473-8474.